NuEpiphany is comprised primarily of five seasoned professional musicians who have come together to bring new life and energy to the R&B and funk music we all know and love. The group prides itself in creating a space where numerous professionals come together creating new expressions of the music. As new energy flows into and out of the group, the resulting synergy sparks new “epiphanies”. Each week they not only breathe life into original gems, but funk up old school and new school jams. The result is music that not only moves your body, but fills your soul. The main players are all long performing professionals in their own right, working with local, national, and international recording artists and performers. Together, they are a force to be reckoned with - unstoppable. Rob Jiggetts, a native of New York City, was an accomplished musician, producer and actor. He began playing drums at age five and added full percussion and bass guitar to his repertoire. Rob taught both middle school and high school music classes in Washington D.C., was the co-leader of NuEPIPHANY and played with various local Jazz, R&B, Funk, Country, and Gospel Bands. Rob also DJ’ed for 90.7 FM WNCU and was a drum/percssion instructor and community organizer for Walltown Children's Theatre in Durham, NC. Rob's list of accolades include playing drums, percussion and sometimes bass for local and national recording artists such as Raymond Wise, Satin Soul, Midnight Crossfire, Double Shot, Kim Pacheco, Freddie Green Jazz Band, the One Human Family Choir and various churches. NuEpiphany continues on through the efforts of a circle of Rob’s close musician friends who stepped in at the time of his passing to make sure his vision for NuEpiphany didn’t perish. Every time NuEpiphany takes the stage, we do it for Rob, knowing full well that he is somewhere tinkering with some rhythmic noise maker that no one has ever heard of before!! James "Cisco" Gaskins, a native of the Nation's Capital, Washington DC, began playing professionally at 15 in a back-up band for "The Intrepids" and has been gigging ever since. He moved from The Intrepids to playing in the band for Robert (Bobby) Parker, the artist who wrote and recorded "Bare Footing". As a bassist in hot demand, Cisco joined the Softones and toured with them for several years both domestically and internationally, securing his status as the premier backup bass player on the East Coast. In addition to co-leading NuEpiphany, Cisco lends his incredible talents to such bands and recording artists as Midnight Crossfire, Double Shot, Kim Pacheco, and the One Human Family Workshop Choir. Charles "chuckles" Callahan, a native of Philadelphia, PA, is a master guitarist in the genres of R&B, Classic Funk, Smooth Jazz and Pop. He toured for over 20 years with the funk group, Ready Made Family on guitar and vocals. The group shared the stage with greats such as Lakeside, Rose Royce, and Cameo. In addition to playing for NuEpiphany, Charles has also lent his talents to Freddie Green. Cara Williams, a native of Lady's Island, SC, has been touring for over 15 years both domestically and abroad as a co-director and soloist/lead vocalist for the One Human Family Choir. She has also performed solo at various programs, and ceremonies including weddings, festivals, and other public/private events . A respected choir clinician, facilitator, organizer, and mentor, Cara has presented clinics and workshops across the United States and in Canada. She specializes in bringing singers and musicians of diverse backgrounds/populations together to present musical models of unity to the wider community. The product of a musical family, Cara is skilled on flute, dabbles with the piano, and holds her own on drums and percussion, but it is her singing that has endeared her to the masses. Cara’s voice is warm, soulful , and filled with emotional energy. Deeply rooted in spiritual/Gospel music, and heavily influenced by classical, R&B, funk, and jazz greats, her versatile vocal style is evident in her performances. Cara’s interaction with audiences is upbeat and engaging. She captures them with her smile, draws them in with her humor, and captivates them with her electrifying voice. Kim Pacheco; Raised in a large family characterized by its heartfelt ministry, prestige, and musical talent, Kim Pacheco delivers a cultivated and unique style of contemporary soul. Her most recent adventures boast of tours through major cities in British Columbia and Saskatchewan, Canada where she continues to “seduce” sold-out audiences at each venue. Kim is an award winning performer who has been on stage, in film and on television. She honors the vintage sound of jazz as her first love. Her gifts have given her the opportunity to share the stage with Jazz greats like, Della Reese and Bluesman Taj Mahal. Kim’s presence has been felt throughout the United States, Canada, and Europe. Before joining the band Kim accompanied NuEpiphany and sings with One Human Family Workshop Choir as both featured vocalist and supporting background. NuEpiphany utilizes the talents and energy of several gifted musicians both in North Carolina and across the United States. As our circle of co-conspirators grows, we continue to lengthen and strengthen our roster of musicians across the US on whom we can call to enhance our sound at any venue. Richard Harris White, Jr. a native of Saint Louis, Missouri, is a master pianist. He studied classical piano from age 7, and reached into jazz before high school. He has performed at Herman’s Jazz Club in Victoria BC with vocalist Kim Pacheco, and has also performed with his wife pianist, organist and vocalist Jessica Minahan White. He currently lives in Charleston, South Carolina and performs with various musicians including the 17 South Band and the Charleston Jazz Orchestra. Most recently he performed with the Charleston Symphony Orchestra featuring vocalist and multi-instrumentalist Ellis Hall. Richard can be heard weekly at the Charleston Grill. 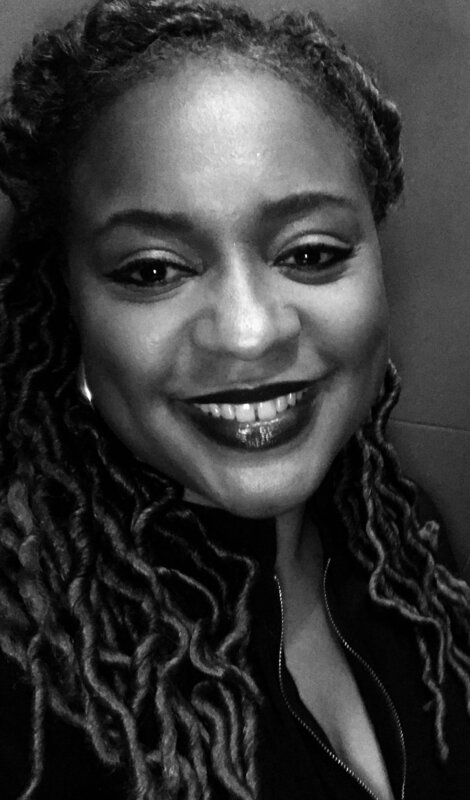 Joy Ducree Gregory, who currently resides in a Charleston, SC, is a proud mother, professional performer, director and producer. She has performed on numerous stages throughout the Southeast and has received several Wilmington Theater Awards for her personal performances as well as for her theatre company's productions (True 2 You Productions). Some of her favorite past roles include the Witch (Into the Woods), Sofia (The Color Purple), Dolly (Hello, Dolly! ), Joanne (Rent), and Motormouth Maybelle (Hairspray), to name a few. Joy received critical acclaim for her direction of the Pulitzer Prize and Tony Award winning play Clybourne Park, and was featured in the cover story of Wilmington's SALT Magazine (June 2015) as the "Muse of Music" for the Port City. Although Joy has a M.Ed. in Counseling Psychology and is a Certified Life Coach, her passion has always been in ministry and the performing arts. Kym Verbal, a native of Southern Pines, NC, has performed for and with some of the industries Gospel and R&B greats such as Lee Williams, Teddy Cross of "The Gospel Keynotes, Haran Griffin of the Gospel Southernaires, James Duffie and Gaylord Parsons of Cashflow, Donnell Gillespie of Harold Melvin and the Blue Notes, Rosa Rush, Marcus Houston, and many others. She also lent her voice to a movie production,"My 3 Boys" A Shardi film production. Kym's most recent personal and creative musical accomplishment is a collaboration with Mr. Don Manor, Jr (Guitarist and Producer) of Cincinatti, OH, on her debut album titled, "The Pain, The Love, The Spirit" which she wrote, performed on, and co-produced. Whether lending vocal support to other artists, or performing on her own, Kym always stives vocally to “give people something they can feel”. Reginald "Reg" Watson of Apex NC, is an extraordinary keyboardist. He plays with a number of artists in addition to being a primary member of the "Anything Goes" band which plays Jazz, R&B and Hip Hop music. Don't let his humble laid-back nature fool you - Reg is a certified BEAST on Keys! Serena Wiley is an accomplished and versatile saxophonist who studied under notable saxophonists Dr. Ira Wiggins and Branford Marsalis. In addition to playing the sax, she is also blessed with a rich voice which she lends to background vocals. Serena is an extraordinary musician with her own unique style. Her first love is straight-ahead jazz, but she definitely runs with the big dogs in the R&B/funk arena. Victor Shaw started playing as a teenager in the 70’s, borrowing from some of the gospel and jazz greats. He evolved into an avid player, developing a playing style that is uniquely his own. Victor is well known among guitarists for his spiritual feel and ease of movement between different styles of music. He has played with notable gospel artists such as Victor Johnson, Bishop Paul Morton, and Luther Barnes. He has also made a name for himself playing with jazz and R&B artists such as saxophonists Marcus Anderson, Marcus Mitchell, & Walter Beasley, keyboardist Terrance White, and vocalist Jaguar Wright. Dilsey Davis is a singer/actress/producer who has been in the business for over 20 years. She has traveled the globe with groups of various sizes as a Director and both lead and background vocalist. Whether on the stage, the small screen or the big screen, Dilsey leaves nothing behind - she is, as they say, a quadruple threat! Kevin Smiley, a native of Southside VA, grew up in a musical family under the tutelage of his father, Jimmy Smiley, a member of the Midnight Movers. He learned to play the sax in grade school and was playing with the Midnight Movers by the age of 14. By age 16, Kevin had taken to rhythm guitar, inspired by Van Halen and Stevie Ray Vaughan to create and develop his own unique blend of rock, R&B, and funk. He continues to impress diverse audiences with his skillful fusion of music genres and passionate style and showmanship. 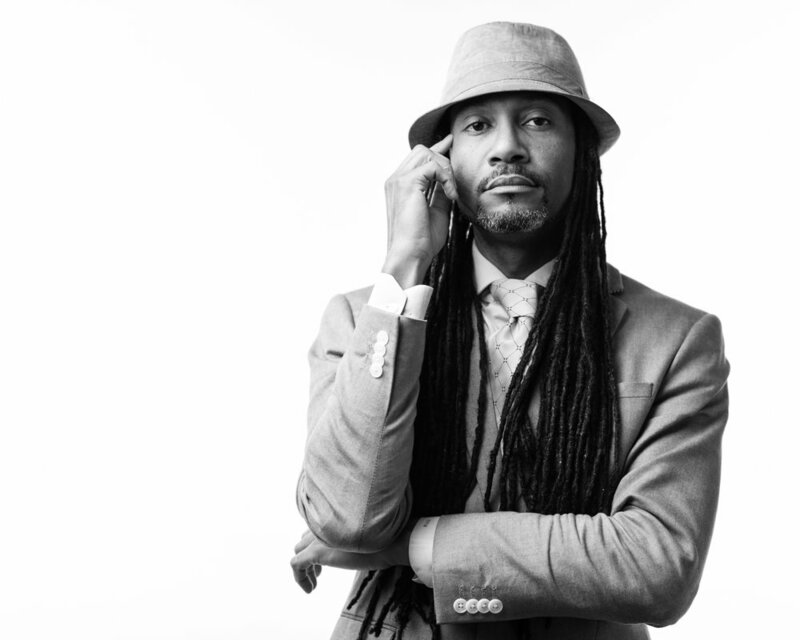 Kevin plays with Inside Out Band, Midnight Crossfire, Double Shot, and other bands from NC and VA.
Tracy "Percussion Lady" Francis of Washington DC, is a master percussionist who enjoys R&B/Funk, as well as Dance, Jazz, Latin, Reggae, and World Music. She brings style and energy to every show and knows how to move a crowd. In DC, you can catch her with Sudden M Pac Band and the band X-Factor.